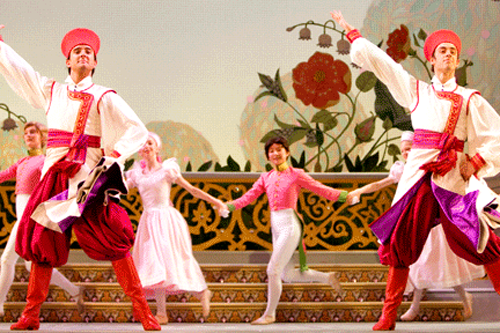 The Nutcracker is perhaps the most popular ballet in the world. Based upon the turnout and the crowd’s response of last night’s performance of Alberta Ballet’s The Nutcracker it’s not hard to see this statement. Choreographed by Edmund Stripe, The Nutcracker -- Tchaikovsky's most famous composition -- is a holiday tradition and an amazing display of talent, narration, and grace. The hard work and devotion that comes from Alberta Ballet's dancers is evident as they seamlessly glide across the stage with pirouettes, pas de deux’s and battements of all types. For a “retired” dancer, the performance brings back memories of exhausting days but rewarded efforts. For a young dancer, it brings motivation to see what training, technique and drive can bring to the stage. 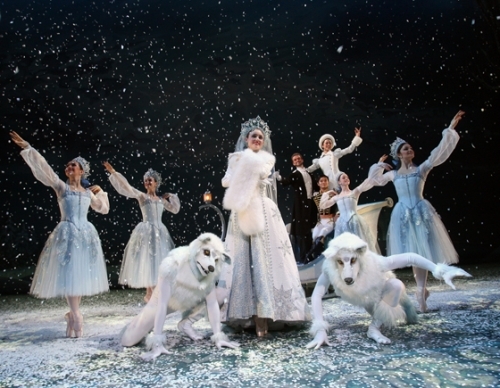 For those who have never seen or danced ballet, The Nutcracker is often a good introduction. The beautiful part about this Nutcracker performance is the partnership of professional dancers with young, aspiring ones. The cast is composed of the Alberta Ballet troupe and 60 youth from various schools throughout Vancouver, providing a great community builder and rare creative opportunity for local youth. A chance to dance with professional dancers is a dream come true for many, and a chance for them to showcase their talent and grow their experience. Roughly 100 children auditioned in June and 60 lucky ones were chosen. But they've had to work hard since: this group has been rehearsing every Sunday since October! Tuesday this week was their first rehearsal on stage with Alberta Ballet before the opening show on Wednesday. “We love the fact that we showcase high caliber dance and are able to integrate aspiring young dancers to strive towards their dreams of working for a similar company,” said Molnar. The combination of breathtaking music from the Vancouver Symphony Orchestra and the intoxicating movements from the troupe of Alberta Ballet dancers left audiences in awe of the art of ballet as a vehicle for storytelling. Even with eyes closed for a moment, the familiar songs left me with a vivid picture of the scene in the story, and the dancers' image was burned into memory. The set design and costumes were breathtaking in ways you would never expect; ornate from ground to ceiling and doused in glitter. Emmy award-winning Zach Brown did a spectacular job of complementing the ballet with his eye for design in both the sets and costumes. With each act being drastically different from the next, each new set was entirely suited to the story. 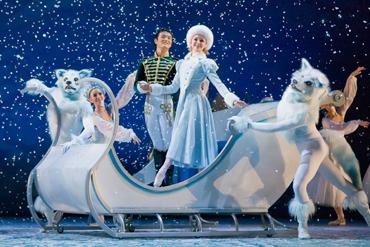 Looking at the stage full of snow and sleds, I could almost feel the room chill a bit within the Queen Elizabeth Theatre. The Nutcracker is a classic tale of whimsical Sugar Plum Fairies, adorably mischievous mice (led by the evil Mouse King), a charming Nutcracker Prince and kind-hearted Clara; the story invigorates young and old with its playful theme. It’s a joy to have such a talented group of professional dancers tell the Nutcracker story through body, movement and fairytale.